Over the last year or so I’ve been thinking a lot about social business. Whilst there are many definitions, I think the most simplistic and accurate is that of a business which uses social tools both internally and externally. As the title of this post suggests I’m interested in the second bullet point; namely tapping into your employee’s networks to make connections that generate business outcomes, such leads and sales. An increasing number of companies have employees that I would as define ‘super-connectors’; those with professional networks made up of more than 500 connections. The reality is highly-connected people are likely to know other highly-connected people and pretty soon you can end up with a network of first and second connections that totals one million people. A network of that size is hugely valuable if you have the inclination and tools to harness it. We all know a referral or warm lead is intrinsically more valuable than a cold lead, but wouldn’t it be nice if there was a tool that harnesses the power your employee’s networks? DataHug is one such tool, but I’m keen for this post to focus on the idea, rather than technology. For businesses to genuinely become ‘social within’ requires a huge culture shift. How many companies do you know that would invest time and resource helping staff to build their online profile and develop such a network of connections? Especially when they can jump ship to a rival and take these hard-earned connections with them. The key here is to help your employees develop their off and online profile, and nurture a network of connections. I’m not just talking LinkedIn here, but email and telephone contacts, as well as business and niche communities. If you’re trying to do identify the key decision-makers in an organisation, tapping into your employees networks can be the difference between a warm and cold lead, a sale and a miss. In fact, the cold call could be consigned to the history books. This sort of business intelligence should be harnessed. There are obviously some issues that need addressing around employee engagement, privacy and remuneration which perhaps warrant a post of their own. But I imagine a cut of a referral would be enough to get most on board. 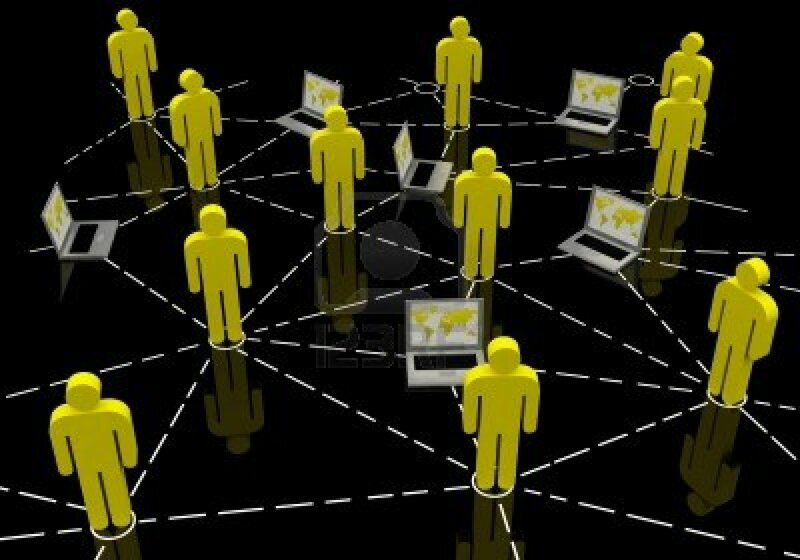 Are you harnessing your employees networks? Who knows who? Who knows somebody you’d like to speak to? It’s about joining the dots and utilising connections that are already there. In the future when making a new appointment employers will look at the strength, size and value of a person’s networks. In an information economy, this social capital is a valuable commodity.